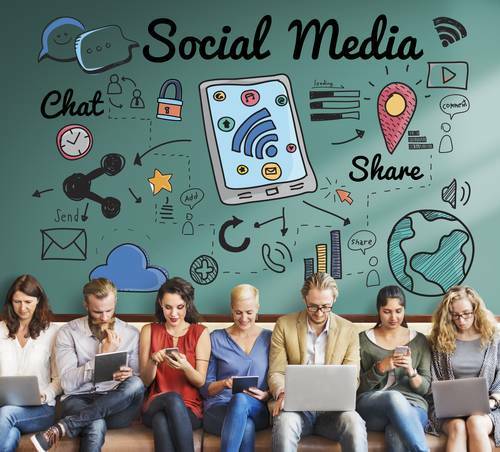 How Are Social Media Trends Influencing The Business Marketing Landscape in 2018? In the past years, the media moguls and the behemoths of commerce had an inherent advantage in marketing and promotions. Back in the day, marketing was more about funds and finance. Expectedly, the more massive corporations had enough resources to fund campaigns, while the SMEs often lived in their shadows. Things began to change with the advent of social media and different strategies of social media marketing. These platforms meant that the small businesses could also afford to promote their brands and market their products. It became much easier once the users took charge of the content. Being on social media, of course, translated to coming up with fresh quality content on a regular basis for the target groups. However, once the brands adopted the practice of daily contests and polls, it became so much easier to generate new content every day. This kind of content is user generated content or UGC, and it is one of the most economical ways to stay visible without spending a ton of money. People create content by participating in photo contests, quiz contests or discussions on the brand page. It offers the brand manages a flurry of usable, new content and also keeps the pages visible on the social media feed. It is the most popular genre of content on Facebook, Instagram, and Twitter right now! Ephemeral content has been gaining traction for quite some time now. Brands love to tell their stories on Snapchat, Instagram and Facebook using their “Stories” feature that keeps content accessible for only 24 hours. That means the content comes with an expiration time. It creates a sense of urgency among the users. The followers are likely to interact and engage more to stay on top of the latest updates from the brands. It builds expectation among the regular followers. Users interact more frequently with any brand, and this instills trust among them. More numbers of e-commerce brands are opting for mobile apps rather than working on their already existing websites. Yes! AMP is still a huge deal among all search engines, especially Google, but most brands need to work on applications for mobile devices to become more accessible to their users. These native apps should be compatible with iOS, Android and Windows platforms. Now, turning any website into an application or creating a new app for your e-commerce channel takes funding. This kind of generous funding is only possible for the companies who have been in business for years or the companies with some friends among the loan companies. SMEs can easily opt for consolidation loans and small business loans to meet the monetary requisites of the process. These apps will also allow the users and the business managers to connect to the social media platforms with just one click. 2018 is going to see an array of changes ushered in by the introduction of technology in the realm of social media marketing. That is the very reason you need to establish a social media budget for your teams. Leveraging the right resources for the right processes will help your brand to make the most of this technological awakening. 2018 is going to be another big year in the history of influencer marketing. That is not another buzzword that blows over with time. Influencer marketing is stronger than ever thanks to all social media celebrities and their followers across the several networks. It is when the marketing task is a responsibility of social media influencers and celebs instead of TVCs and print ads. As people who are social media moguls, they are in constant touch with the users, and they can always carry the name of any brand forward to the potential buyers. PPC and other forms of sponsored ads are inevitably going to take a back seat to influencer marketing willingly bearing the flag. It is the perfect time for almost all brands to find their social media influencers and design their very own campaigns. It is a marvelous way to save big bucks, while your company can grow organically. Hyper-personalization is everywhere right now. Even when people open their “spam” mailbox, they expect to see personalized addresses. The users need to experience a sense of a personal touch in the daily updates, newsletters, and even the customer service messages. It will make your customers stop and think for a while. The experience is a lot more personal. It will drive the customer further down the sales funnel and boost your conversion rates. You will be able to create a loyal fan base without investing the lion’s share of resources in the process. Creating thoughtful advertisements that are content-rich will egg your users on to click on the CTA. Ensure that you are using non-promotional, informative content to engage your potential customers. For all brand managers and digital marketers, it is very important to run cross-platform marketing campaigns that can help you realize your social media ROI. Interact your audience with a human face and engage your customers using more than money-making baits. Give them something worthwhile to think about. Social media marketing is changing. It is becoming more about building an image people can easily relate to. Provide your followers some food for thought that keeps your brand name, brand values, and business ideals alive in the reader’s mind for a long time.